Our favorite of the month! 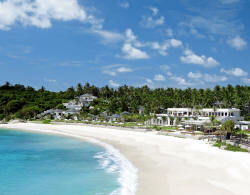 Bucuti & Tara Beach Resorts are TripAdvisor Traveler’s Choice for one of the Top 10 Most Romantic Resorts in the World. Sophisticated and stylish, the resorts are located on Eagle Beach, one of the Caribbean’s top 10 “Dream Beaches of the World”. Offering Aruba’s only refined and tranquil boutique resort experience without children, perfect for honeymooners and GLBT friendly. Award winning and owner operated, this is the choice for honeymoons and destination weddings. Fine dining is offered on the beach in the open-air Pirates’ Nest Restaurant and Bar. We invite you to discover Bucuti & Tara Beach Resorts from 300 USD per night (double occupancy), for a Superior Room, inclusive buffet breakfast and all taxes. In addition, for an extra charge of 39 USD per person per night, take advantage of the unique Dine-Around program, which gives you the opportunity to take your dinner in a choice of 18 member restaurants of the Aruba Gastronomic Association. Exclusive promotions and special offers! 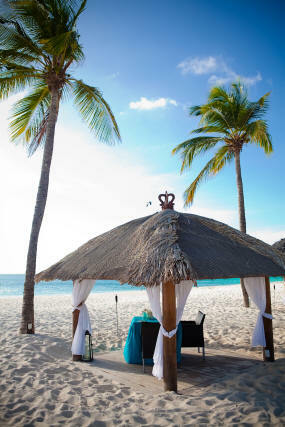 If there is one place that embodies the romance, serenity and physical beauty of The Caribbean, it’s Cap Juluca. Located along the intimate crescent of Maundays Bay, Cap Juluca’s Moorish architecture and Moroccan décor are as timeless as the sea itself. Pay 5 nights and get 5 more complimentary nights! From 2970 USD for 2 persons in a Oceanfront Superior Room for 10 nights (of which 5 complimentary nights), continental breakfast, 10% tax, 10% service charge and 1 USD per person per night government marketing levy included! Argentikon Luxury Suites has its own special style with a unique combination of classic elegance, stone structure and natural beauty with all the necessary modern comforts and amenities. The Estate is ideal for special moments of relaxation in the pool, the sauna, as well as with a stress relieving massage. The surrounding environment is beautiful and suitable for exceptional dining. Until end of the season, benefit from our last minute promotion, with up to 40% discount on the published rates! From 350 Euro per suite per night, double occupancy, buffet breakfast and all taxes included! 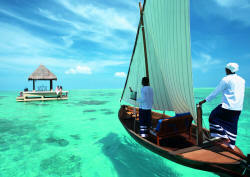 Taj Exotica Resort & Spa spreads idyllically along a pristine beach and the serene lagoon. The award-winning resort, now re-launched, seamlessly extends the magic of the island’s blessed natural beauty in its design even as it offers the finest contemporary luxuries and services. Stay 14 nights, pay only 10 nights! From 745 USD per night for a Lagoon Villa (overwater with direct lagoon access), double occupancy, buffet breakfast, bed tax and service charge included! In addition, if you book at least 60 days prior to arrival date, you will get an early bird discount of 10% on accommodation! Life’s simplest pleasures take on new meaning at Thailand’s ultra-luxurious island hideaway. Located just 12 miles south of Phuket on Racha Yai island, The Racha is set on a pristine white-powdery beach and surrounded by the dazzling turquoise waters of the Andaman Sea. Stay 4 nights, pay only 3 nights! Stay 8 nights, pay only 6 nights! Stay 12 nights, pay only 9 nights! From 6.200 THB (approx; 210 USD) per night in a Deluxe Villa (without private pool), double occupancy, buffet breakfast and 18% taxes & service charge inclusive. 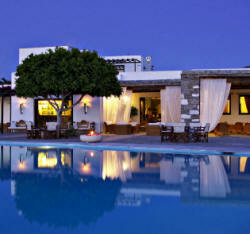 Modeled on a typical whitewashed Cycladic village, the property - boasting of the colorful local flora - captures the essence of the island’s culture and offers: breathtaking sunset views in the Bay, serenity and harmony in the ambience, efficient and compromising personal service is our promise for a memorable stay on Paros. Until end of the season, benefit from our last minute promotion, with 20% discount on the published rates! In addition, if you stay a minimum of 4 nights, you will enjoy 20% discount voucher for the following extra services at the hotel: bar, restaurant, Spa, transfers! From 136 Euro per night for a Classic Room, double occupancy, buffet breakfast and all taxes included! 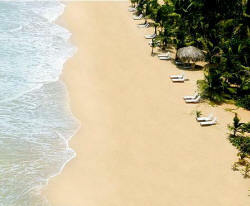 Sivory Punta Cana welcomes guests into an enticing island world of beauty, style and comfort. Accented with East Asian influences, the resort's concept combines the natural beauty of eastern Caribbean with the style and tradition of a Polynesian paradise. From 410 USD per suite per night sharing a Deluxe Junior Suite, double occupancy, All Inclusive Sivory Plan and 26% taxes et service charge included! Situated on the banks of the Grand Canal between Ca’ D’Oro and the Rialto Bridge, Ca’ Sagredo, dating back to the 15th century, has been declared a national monument. Amazingly, even after five centuries, the castle is just as opulent as ever. 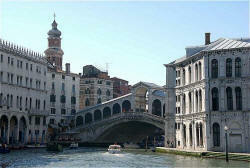 To enjoy a journey back to Venice golden era, take advantage of one complimentary night: Stay 3 nights, pay only 2 nights! From 230 Euro per room per night, double occupancy, buffet breakfast, all taxes and service charge inclusive!! This is the perfect intimate island retreat, tempered with caring responsibility, which makes it a paradise for individualists and nature lovers. But what really sets the island apart is its commitment to the endemic wildlife that surrounds it. Stay 6 nights, pay only 5 nights! Stay 12 nights, pay only 10 nights! From 3294 Euro per villa per night for a luxury villa with private pool, double occupancy, inclusive full board, non-alcoholic beverages and 22% GST and service charge! Canouan Resort & The Grenadines Estate Villas (former Raffles Canouan) is located on 1200 acres of Canouan Island, one of the 32 islands of the Grenadines, just 110 miles West of Barbados. The luxurious five star retreat Canouan Resort encompasses 200 glorious, rolling acres of natures very best with facilities and services to the very highest of international standards of excellence, gracefully boarded by breathtaking views of turquoise seas and the coral reef beyond. Until 17th December, 2011, take advantage of one of the resort special tailored packages (Golf, Spa, Romance or Family packages) or get complimentary bonus nights to stay more at this little paradise! From 770 USD per night in an Ocean View Luxury Room, double occupancy, inclusive buffet breakfast, complimentary mini bar, and 20% taxes and service charge! In each issue of our newsletter, we will highlight member and partner properties which best fit to the suggestions of the month. For the current issue, we have selected the Dream Villas theme. Above proposals are only a few selection. Most of our member properties offer suites with two or more bedrooms, which can accommodate together families or group of friends, for an exclusive and luxury stay. 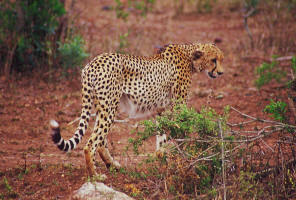 Arabian Adventures and &Beyond Africa 2012 rates are now available. We are pleased to inform you that we have just received the 2012 negotiated rates from our Middle East Inbound partner, Arabian Adventures, and from our Southern Africa Inbound partner, Africa & Beyond. If you are planning for 2012, a sightseeing tour or a relaxing holiday in the United Arab Emirates (Abu Dhabi, Dubai, ...), Qatar, Bahrain or Oman, please contact us as soon as possible to take advantage of the best available offers. Indeed, most resorts in the Middle East offers significant early bird discounts up to 30%, in addition to usual promotions such as free nights, meal upgrades, family offers, etc..
For a beach holiday or a safari in Southern Africa (South Africa, Namibia, Botswana, Lesotho, Swaziland, Mozambique, Zimbabwe, Zambia, Tanzania [including Zanzibar] and Kenya), we also advise to book early, as many lodges are small units, which are sometimes fully booked several weeks or months in advance. Tell us about your dream vacation and we will be pleased to forward you some suggestions which best fit your requirements. Contact us and send us your requirements. As you be aware, we have built strong partnerships with many leading travel companies around the world, amongst them renowned hotels and airlines. From 160 Euro per night for a Superior Room, double occupancy, buffet breakfast, Internet access, complimentary minibar, all taxes and service charge included! From 135 Euro per night for a Deluxe Suite, double occupancy, buffet breakfast, taxes and service charge included! From 375 Euro per night for a Superior River Wing Room, double occupancy, The Oriental buffet breakfast, taxes and service charge included! 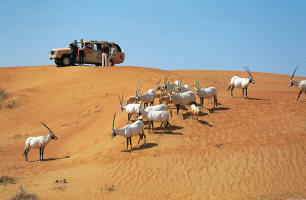 Dubai : from 415 Euro, all taxes inclusive, per person, return ticket. Bangkok : from 567 Euro, all taxes inclusive, per person, return ticket. Colombo : from 647 Euro, all taxes inclusive, per person, return ticket. Bali/Denpasar : from 734 Euro, all taxes inclusive, per person, return ticket. Johannesburg : from 575 Euro, all taxes inclusive, per person, return ticket. Seychelles - Economy: from 635 Euro, all taxes inclusive, per person, return ticket. 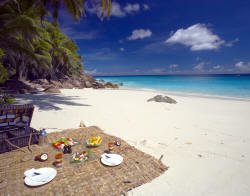 Seychelles - Business: from 1575 Euro, all taxes inclusive, per person, return ticket. Airfares will be packaged with hotel stay and will be forwarded in a tailor-made quotation. Please contact us to receive the rates and promotions of our partners worldwide (China, Bhutan, India, Thailand, USA, Canada, Cambodia, Vietnam, Laos, Mauritius, Luxury cruises, Morocco, Canada, Dubai, Abu Dhabi, Oman, Tanzania, Kenya, Botswana, Namibia, South Africa, ...).